The Ford C-MAX is one of the company’s showcases for its excellent Power of Choice ideal. 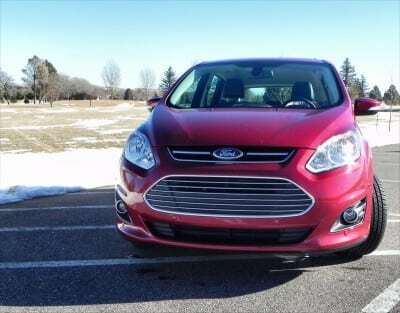 More than a showcase, however, the C-Max is a versatile, right-sized, daily-use car. In the plug-in Energi model, though, cargo space is sacrificed for improved efficiency, proving that there is always a compromise. Many will gladly make that sacrifice, though, given the excellence otherwise seen in this little Ford. 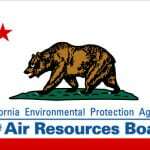 Most of the updates to the 2014 C-Max were to improve fuel economy, eking just enough gain to nullify losses due to EPA adjustments. 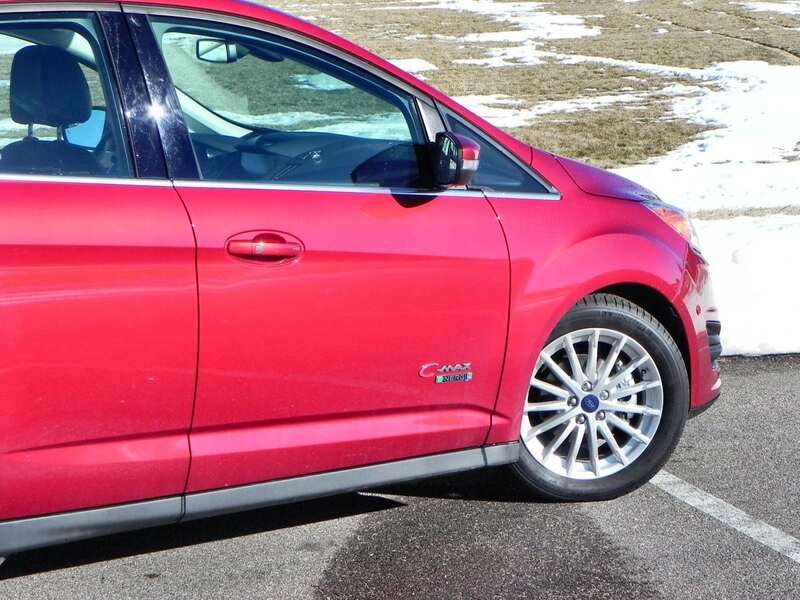 The Ford C-MAX Energi emphasizes fuel sipping, parallel parking assist, and Ford’s highly convenient foot-wave lift gate opener. 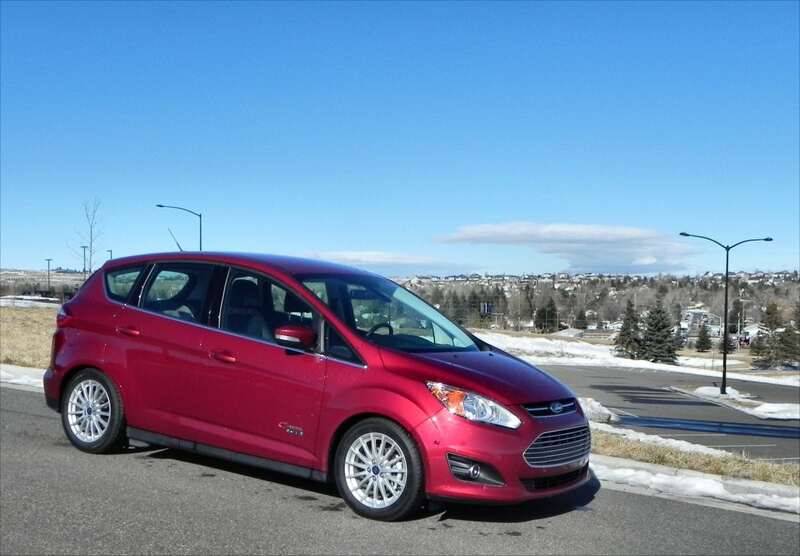 For those who can afford the sacrifices made to gain the plug-in version of the well-designed C-MAX, the Energi has much to offer. Others may find the standard Hybrid option a better fit. 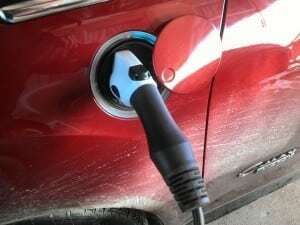 Other than the blue Energi badges that adorn the fenders and tailgate of the E-MAX Energi, the only other indication that this is the plug-in version of the car is the small round plug port on the driver’s side fender, just ahead of the door. The car is a good-looking wagon-style crossover build that appears small, but offers huge interior space. 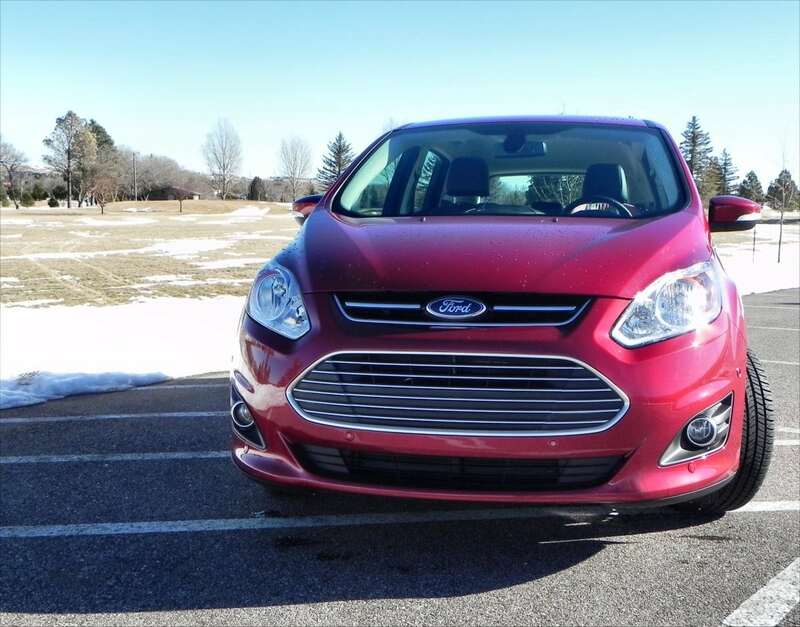 The front grille is along Ford’s current style guides, with a wide, rounded trapezoid opening under a sleek hood accented by crease lines denoting motion. Side panels continue this as the low roofline and upward sweeping belt create a fastback appearance. The interior of the C-MAX is very well done. 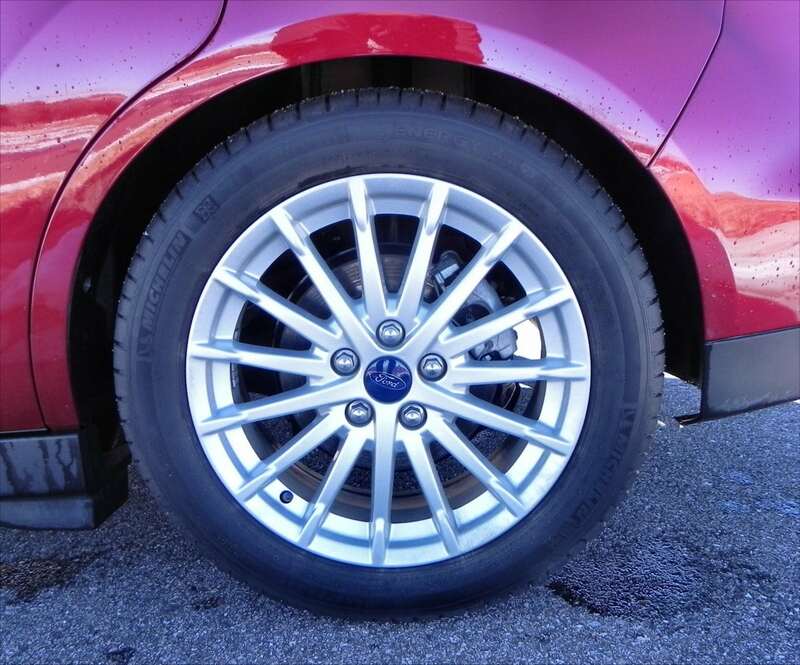 Quality materials, a smart layout, and good fit and finish are the norm in this car. Small touches like the location of an extra 12v plug for the passenger are everywhere. Seating is good and though the back seats may not be comfortable for an NBA player, they accommodate most people well. The front seats sport an amazingly generous amount of head room. Cargo room, however, is more on par with the average sport coupe than it is a wagon. 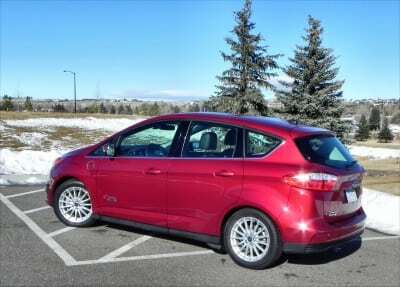 Most of that space is occupied by the large battery pack for the plug-in C-MAX, reducing usable space by more than half. The rear seats do fold forward for added versatility, but that huge battery in the trunk might be a deal breaker for many. 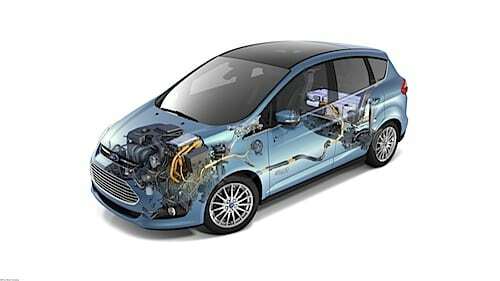 The C-MAX Energi is powered by a 2.0-liter four-cylinder engine that produces 141 horsepower. 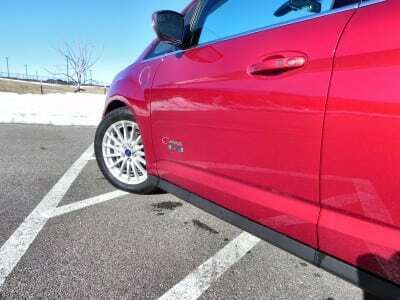 This runs through a continuously variable transmission (CVT) coupled with two electric motors for a total of 188 hp. The big battery pack in the cargo area weighs in at 7.6 kWh, giving the C-MAX Energi an all-electric range of about 19 miles at up to 85 mph. We consistently saw over 20 miles per charge around town. The EPA gives the C-MAX Energi a combined fuel economy rating of 43 mpg. At altitude, with crosswinds and inclement weather, we averaged 37 in a mostly highway mix of driving. 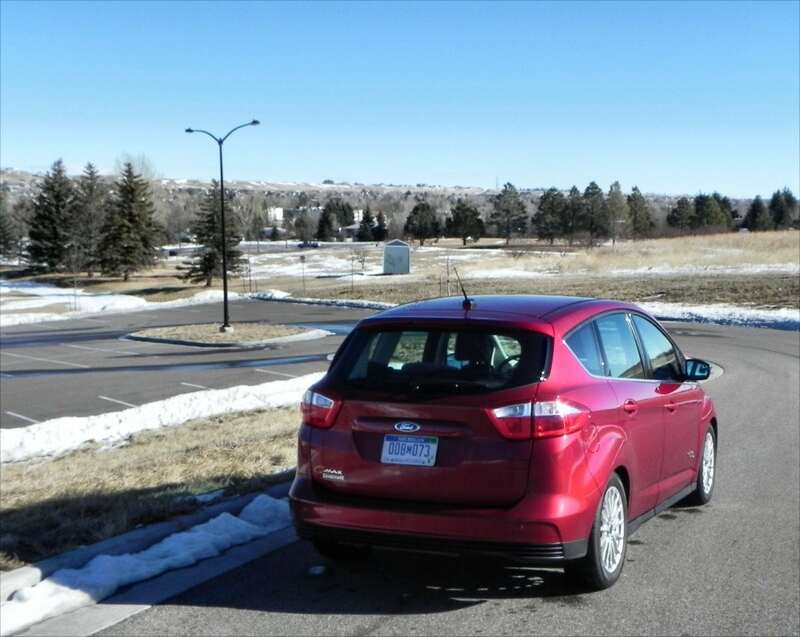 The little C-MAX does well around town, with a good presence and smart maneuverability, even on hard packed snow. On the highway, the C-MAX is poised and much quieter than most in this class. 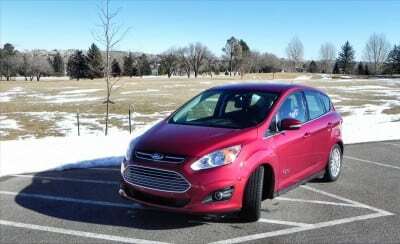 Like most new Ford cars, the C-MAX Energi is well-balanced and gives good feedback to the driver. 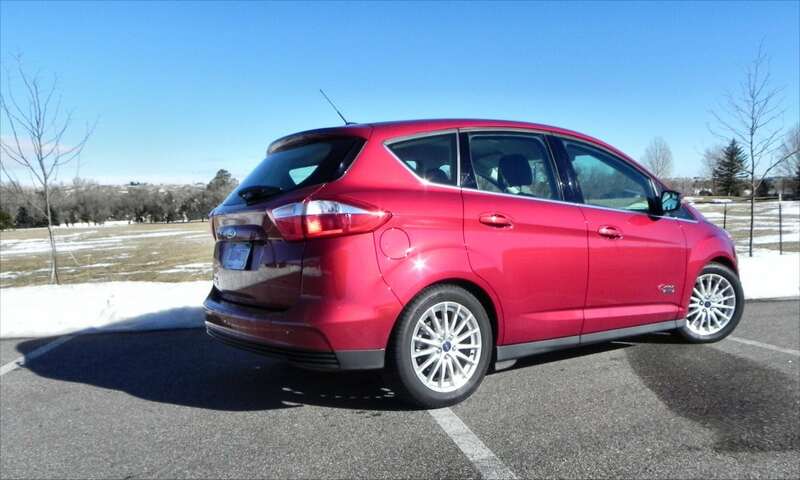 Parents will appreciate the wide-opening rear doors and roomy back seats. 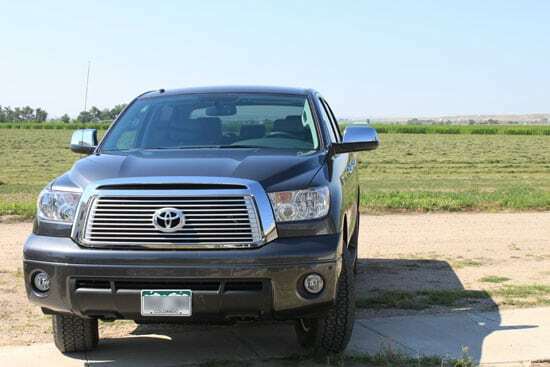 The ability to open the cargo hatch without reaching for the keyfob is a bigger boon to convenience than many might expect. The field of competition in plug-in hybrids is small, but growing. 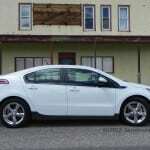 The Chevy Volt has a smaller back seat and more polarizing look. The Toyota Prius PHEV is larger and more usable, but harder to come by if you’re in the market to buy. The Ford Fusion Energi is a good option for those who need more space, as is the Honda Accord Plug-in Hybrid. Roomy for such a small vehicle. Tiny cargo space thanks to the large battery pack there. High price premium for the plug-in option. 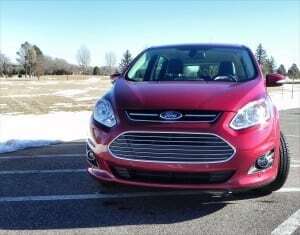 The 2014 Ford C-MAX Energi is a great little crossover with solid efficiency and ergonomics. 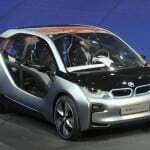 The $5,000 plug-in premium and tiny cargo space will likely be the only limitations to prospective buyers. The Ford C-MAX Energi was a manufacturer’s press loan for about eight days. 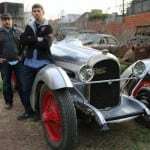 During that time, we drove it a total of 314 miles in varied weather conditions with a heavy highway mix that included some urban and in-town driving.